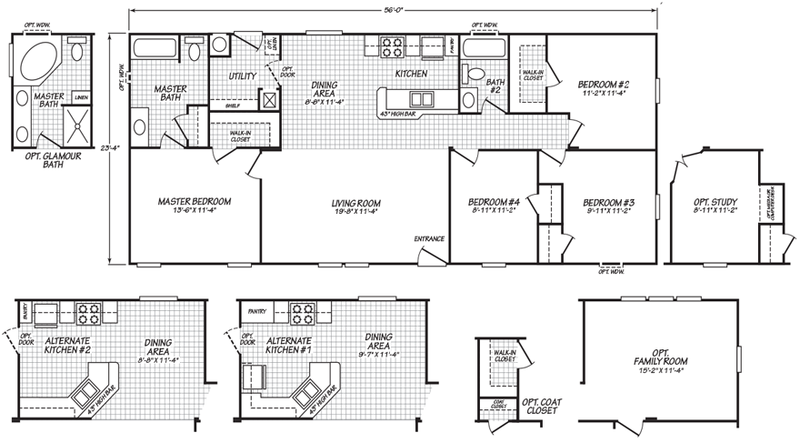 The Santa Rita model has 4 Beds and 2 Baths. 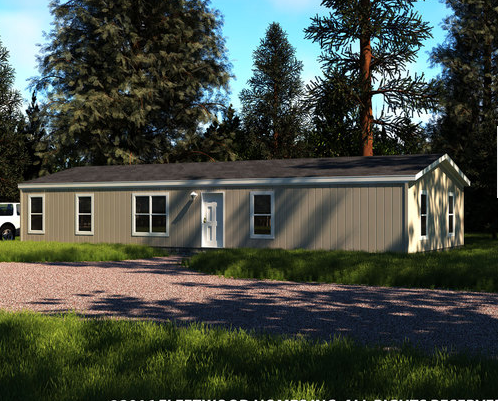 This 1306 square foot Double Wide home is available for delivery in California, Arizona, Nevada. Our shrewd engineers have figured out a way to fit four residential sized bedrooms, one large living room, one semi-formal dining room and a massive master suite into the footprint of this large multi-section home. Just wait until you see the list of options and upgrades! 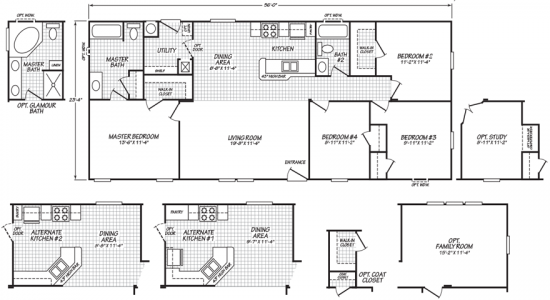 A study, family room, coat closet and two alternate kitchen layouts highlight the package. 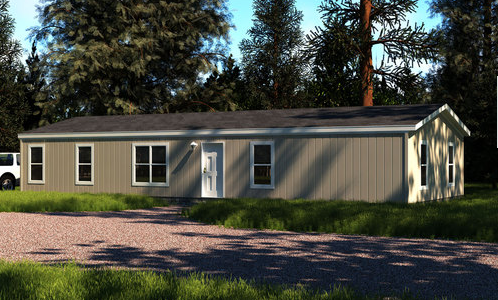 Ask your housing consultant about the other great features that come standard on the Santa Rita manufactured home.